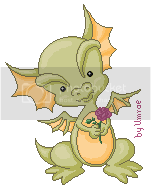 I will pay for dragon pixels and dragon inspired dolls! Will pay in diamonds for each piece of work! Have fun! Last edited by dragonqueen on Tue Jan 03, 2012 5:30 am, edited 2 times in total. Very cool! Off to pay you now! Yay!!! no other dragon artists here? what a shame. I will try this just give me a day or two. I didn't know what colors you wanted so here are some random ones. I didn't know what kind or color so I went random... I might be able to make a few more but I am not sure. wow, she's gorgeous! I love the gold details, little gold wings and her matching gold eyes! I will add her to my adopted dolls page asap! I haven't made a dragon before yet I am willing to try. Is there a style you would not prefer? I love all dragons! Any dragon type that inspires you will be great! OMG! That's one of the best dragons ever! Thanks so much! Bumping topic to satisfy my dragon cravings! Won't you give it a try? I made you a gift. Here it is. It's a gift, so don't send me any diamonds. I hope you like it. He looks like a fur dragon...cool! Thanks! Umrae wrote: I made you a gift. He is ADORABLE! You are really good at the dino/dragon pixels! Thanks so much! I will be back soon with a dragon-girl.